The board seeks to fill the vacant position of treasurer! Regular GVL board meetings have been moved to the fourth Sunday of each month, 2:00 to 3:30, at the library. 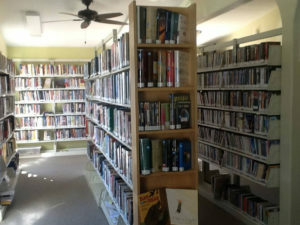 Search → GVL's catalog for books, audiobooks, or DVDs by title, author, director, or subject, and manage your account online, such as renewing items you have checked out or reserving items you would like to check out. 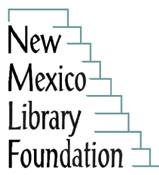 El Portal → to find free online magazines, newspapers, reference books and journals from the NM State Library. The library, a 501(c)(3) nonprofit, depends on support from our patrons. Drop by, mail a check, or click the Donate button to help. Special THANKS to HMS for sharing their land and building! WE ACHIEVE GREATER HEIGHTS THROUGH SUPPORT FROM GENEROUS FUNDERS AND DONORS LIKE YOU! 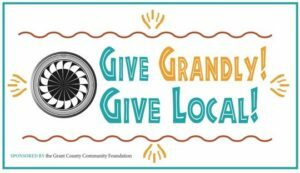 GVL is a 501(c)(3) nonprofit organization, southwest New Mexico. 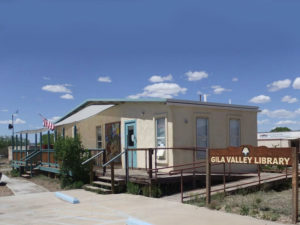 Help sustain and grow the Gila Valley Library – your support is appreciated!